Social Media Marketing: 6 Tools to Assess Your Competitors! If you are looking forward to boosting your social media marketing, you need to give a close look at how your competitors have been exploiting social media for the same. Luckily, there are a number of tools that let you determine what works well for you as well as your competitors. You will also come to know what doesn’t work and the reasons behind the same. Since you already know who your business rivals are, it is good to them by using an efficient tool such as SpyFu. The tool is very effective in offering you deep insights into your organic online competitors and their money-spinning keywords. Additionally, you can get a deep analysis on keywords that have made it to the top and even those that failed to do so. The tool lets you add many competitors to a single project and compare their profiles. This may be quite handy for exploring intersections. 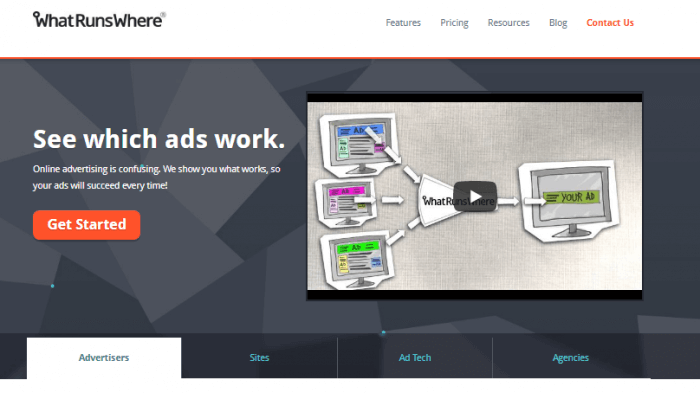 The tool tracks ads that help you research where the competitors advertise and explore profitable publishers. It offers access to historical data too. This means apart from the present age strategies, it also lets you know about those that have evolved over time. This is a great tool to monitor the movements of your competitors. With SimilarWeb Pro, you can get a huge variety of insights related to the traffic levels of competitors across different channels. It will also disclose the sources of traffic and distribution strategies. The tool also displays an engagement arising from traffic such as duration of average visit, page numbers per visit and even the bounce rate. You will get geography data on geography, which is the percentage of traffic sent by different countries, an interest of the audience in topics and categories. The social monitoring tool is an amazing way to explore various key elements for business success. For instance, it lets you know about the most popular social media platforms with your competitors and precise media campaigns that fares really well with their target audience. With Awario, you will also come to know about posting patterns of your competitors and the mode of content distribution among these networks. The tool helps you to set an alert for your competitor to have a close look at the insights such as the source of mentions, type of content that fits the best for each network, etc. Similarly, alerts can be created for the name of campaigns or hashtag to collect data on shares, discussions, and mentions across social networks. Preferred by most SMO experts, it is a perfect tool that helps you develop a prudent content strategy. Simply set up an alert for a topic or a keyword and you will get instant notifications on all that’s buzzing within your forte. The tool tracks content with maximum social exposure, links, and shares. 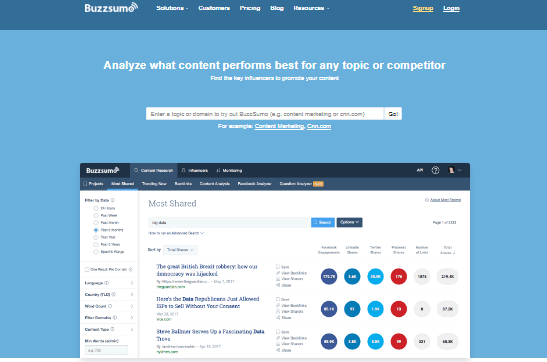 With BuzzSumo, you can monitor specific competitors by domain. The process is very helpful in tracking the best performing content of your competitors. You can also assess the length of content length and format to and find out what fits the audience. Once you start analyzing the best performing content, you will come to know about the common traits that helped it rise in popularity. This way, you can modify your strategy the right way. You will come to know about some hot topics in your niche that needs to be covered. When it comes to achieving success in the highly competitive digital media setting, staying a step ahead of your business rivals is the best you can do. This is very helpful in learning from the failures of others and doing the best you can for your business. Reading your competition and assessing their moves will help you adopt the careful approach and use that awareness to make informed and calculative decisions for your own business.